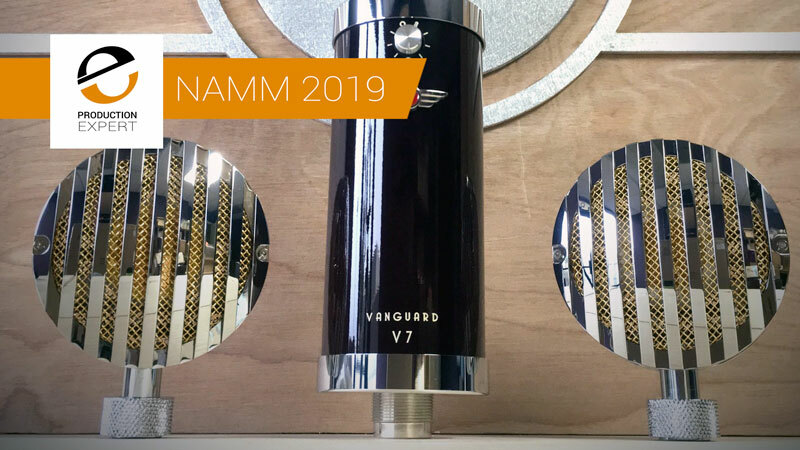 The small team at Vanguard Audio Labs Microphones are very pleased to announce that they will be debuting their new Vanguard V7 FET multi-pattern and multi-capsule microphone at this week’s 2019 winter NAMM show. The new V7’s key feature is a patented interchangeable capsule which is a modified version of their V34C “LOLLI” pencil-mount capsule. This allows for different capsule styles, sizes, and tuned voicings that can operate in any of the 9 selectable polar patterns which are selected via the selector on the front of the mic. This capsule and pattern swapping design makes the V7 an incredibly versatile. The transformer-coupled solid-state circuitry is a unique Vanguard creation, which consists of combining desirable elements from several legendary circuits. 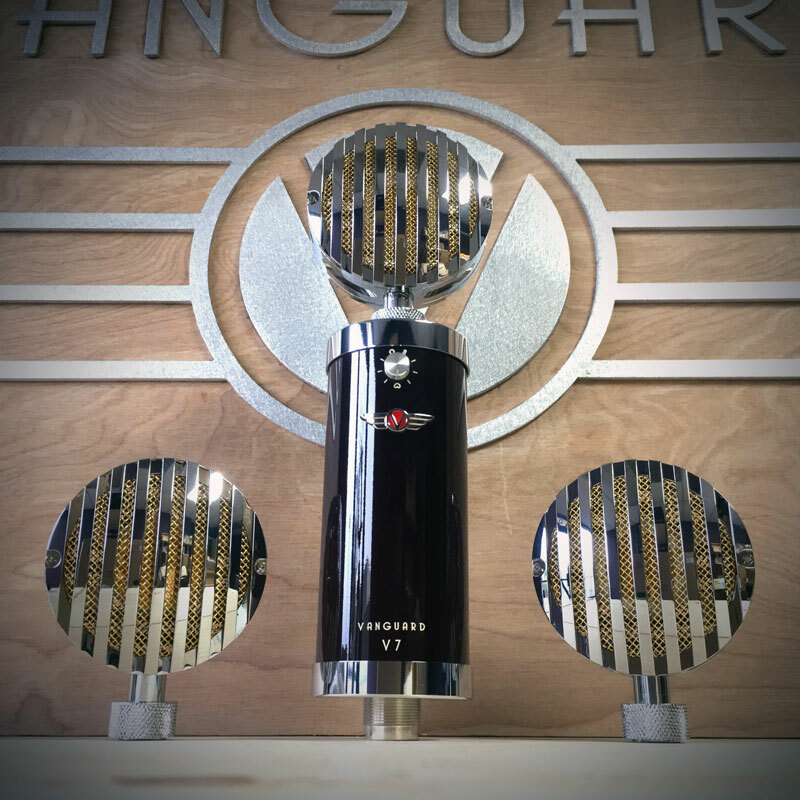 The designers at Vanguard have chosen world-class military-spec precision parts, including metal foil resistors and trimmers, film-and-foil capacitors, an enormous custom-wound Cinemag nickel-cobalt transformer, and an incredible high-performance JFET. They then perform deep-cycle cryogenic treatment on select components at their facility in California. The V7 is housed in a stunning vintage bottle style body, finished with their signature deep-gloss Pinot Noir colour and accented by polished chrome trim. The rear of the microphone allows for a selectable 140Hz/70Hz rolloff and -10/-20dB pad. Included in the package is the stunning Vanguard VLSM shock-mount, a padded pinewood storage box, a micro-fibre mic sleeve, and locking case with space for additional capsule heads. Each V7 consists of parts designed by Vanguard and sourced from a number of respected USA and worldwide component manufacturers. Final assembly and 100% testing & quality control is done here in sunny Southern California. The new Vanguard V7 is planned to ship in Q2 2019 for $1999 USD. As soon as they become available we will do our best to get one, or maybe a pair a get it into review for you. If you are interested in seeing and hearing the new Vanguard V7 and happen to be at the NAMM show, stop by their booth in the ACC North Hall Booth. ADAM Audio and Sonarworks Announce Partnership - Could S Series Monitors DSP Soon Be Able To Host Reference 4 Speaker Calibration In The Near Future? Is McDSP's New APB-16 Is The Perfect Way For People Who Want Analogue Sound But Want Plug-in Convenience?